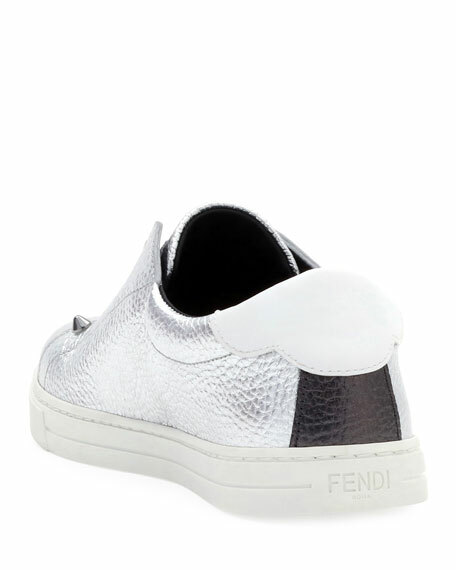 Fendi textured leather sneaker with metallic knit logo. Round toe with spike trim. 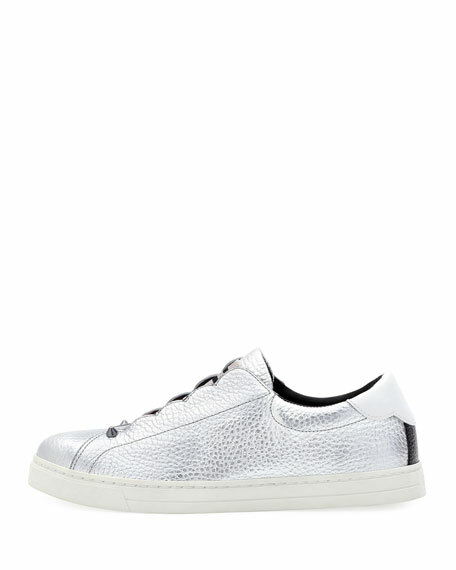 For in-store inquiries, use sku #2595903.